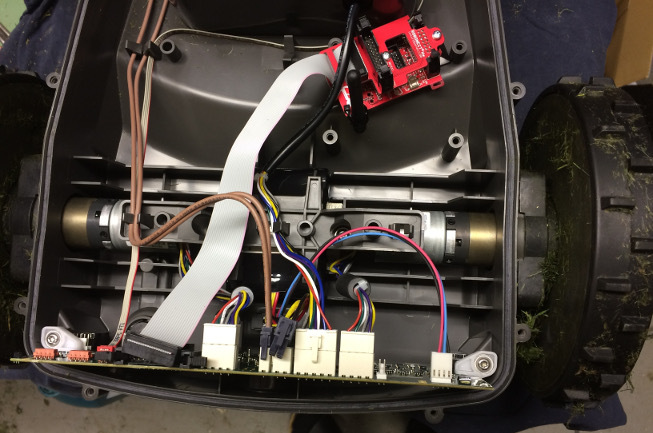 This guide describes how to install the Robonect Hx module in the new edition of Husqvarna Automower 310 and 315, ie devices manufactured 2016 and later. 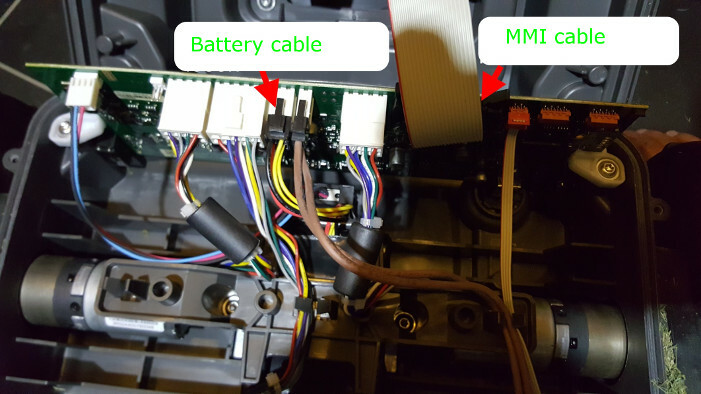 Installation is also possible on older models, but since the connectors are different this guide won't match. I've looked much at other guides on this forum while making the guide. Also I didn't snap any photos of my own while installing, so I simply used photos from other threads. Big thanks to Saugbär, grisu and of course to Fabian who made all this possible! 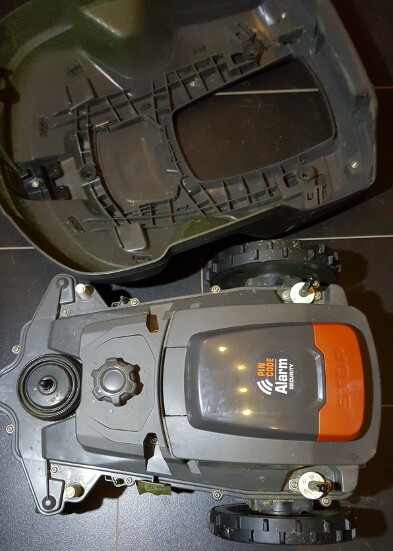 The Robonect Hx module is not an original Husqvarna product! By installing the module Husqvarna's guarantee will be void! Only touch the board edges. Never touch the components and contacts of the board. 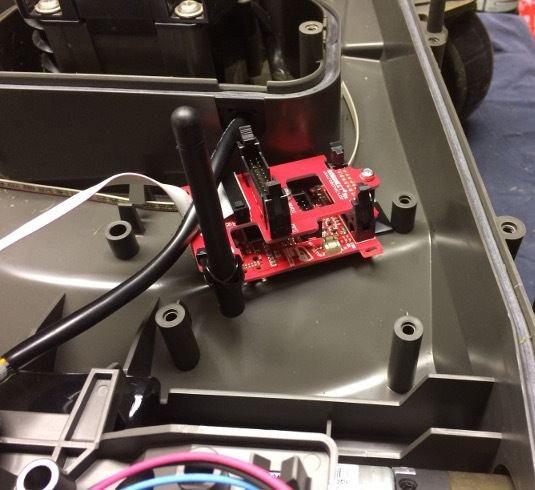 Neither I nor anyone else on this forum accept any liability for damages caused by the installation or use of the module, this is all your responsibility! 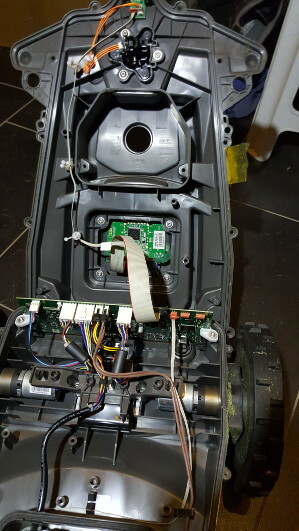 With the module, functions are automatically available in the Automower, which under normal circumstances would not be available in the model. - Set the main power switch to the 0 position. 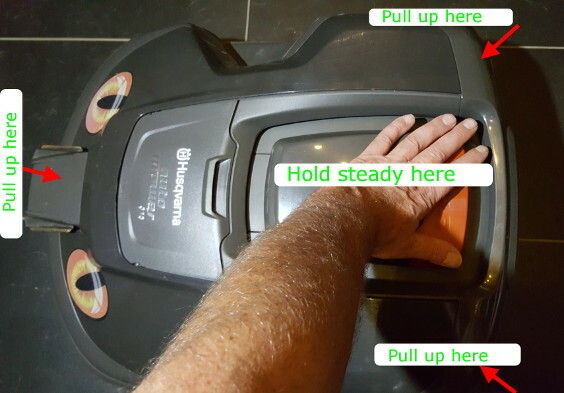 - Turn the mower upside down. 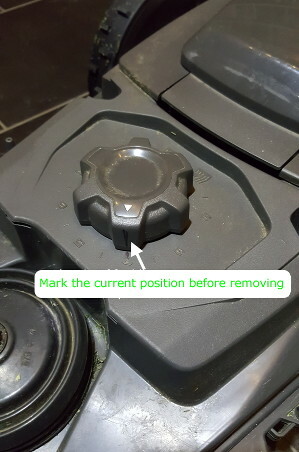 Place the mower on a soft, clean surface to avoid scratching the housing. First we need to remove the cable to the housing. 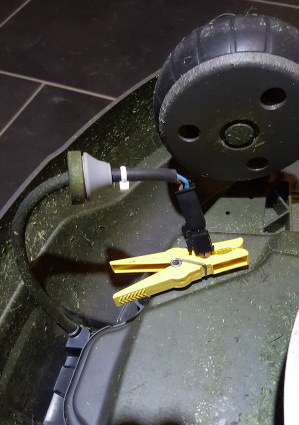 - Pull the rubber plug out of the housing and gently pull out the cable. Place the clothespin on the cable to prevent it from going back into the hole. - then turn the AM back and pull the housing upwards as shown in the photo. - The housing is fixed on two points at the rear and one at the front. - Remove the height adjustment button by just pulling it straight out. Either memorize what it was set at or make a marking so you'll be able to put it on the correct setting again afterwards. 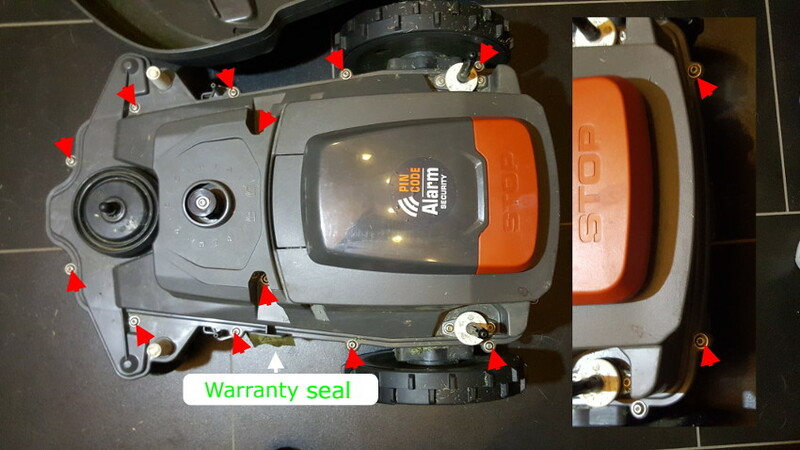 - If you're warried about lost warranty, loosen the warranty seal with a hot air gun. It might be a good idea to replace the rubber gasket around the chassis. Now might be a good time to do that. Also if you want to test that everything is working you can turn the AM on before screwing back all the screws. You can check that the display is working and also that you can se a wireless network with the SSID "Mein Automower". You might get a warning on the display about the bumper being broken which is completely normal since the cable to the housing isn't connected. - Put the chassis back on. Make sure the rubber gasket is tight. - Screw back the 14 screws. Don't screw on too hard! 1-2 Nm is enough. - Put the height adjustment button back, set to the same number as when you removed it. - Put the housing back. Just push it down until it clicks on the three points. - Reconnect the cable to the housing. Make sure the rubber plug fits tight. Zuletzt geändert von Malmgren am Mo 3. Jul 2017, 09:00, insgesamt 2-mal geändert.